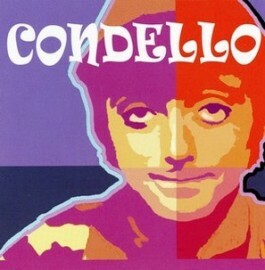 This limited edition Condello & Company collection includes a mostly unreleased satirical 1968 album from Phoenix guitarist Mike Condello, who in the 1960s was musical director of the Wallace and Ladmo TV kids show. The humor is very much in the "Wallace and Ladmo" vein (the wacky Pebbles favorite Soggy Cereal is included; it subsequently came out on an EP by Commodore Condello's Salt River Navy Band), making this release a great companion to the Mike Condello Presents Wallace & Ladmo's Greatest Hits CD that first came out in the 1990s. Condello and his combo recorded under various names during the '60s (Hub Kapp and The Wheels and Commodore Condello are probably the best known to collectors) and rounding out this disc are rare Condello-related 45 tracks by Condello, Last Friday's Fire, The Skallywags, Heckle and Jeckle, The Morgan-Condello Combo and more. Includes a deluxe 24 page booklet, filled with many stories by family and friends, label scans and pictures.